The City of Delano serves as the commerce hub for much of southern Tulare County and is the focus of eight communities within a fifteen-mile radius. Delano’s retail trade population has exceeded 100,000 , growing at a rate twice the state average. 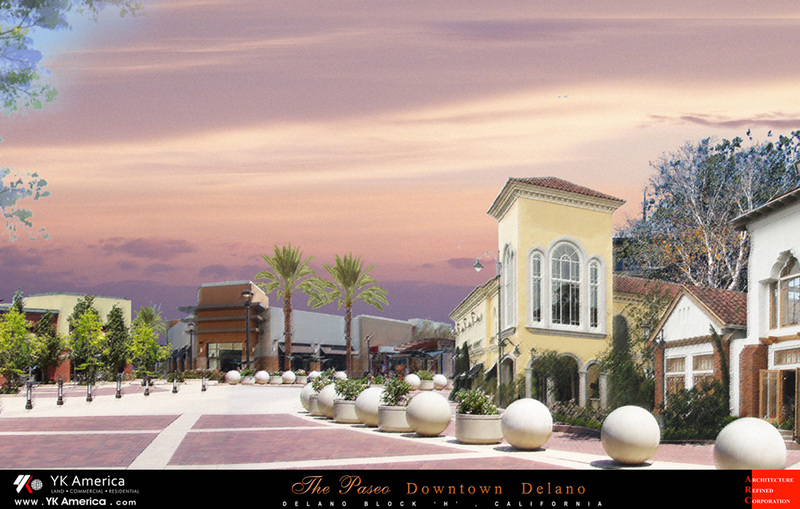 Strategically located in the heart of the city, The Paseo in Delano extends Delano’s highly concentrated downtown area while creating a direct connection with highway 99. 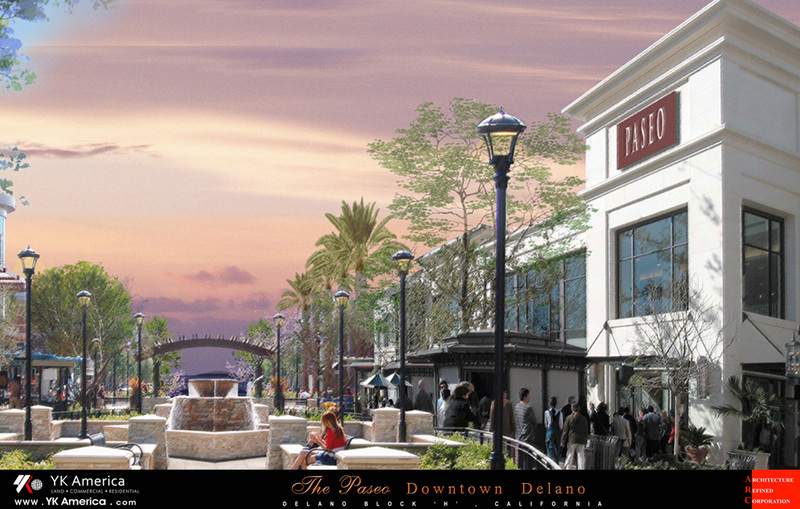 The Paseo in Delano combines entertainment and hospitality anchors with retail, restaurant and office space to create a mixed-use development that is a first for the Delano area. Drawing traffic from downtown and the freeway. The Paseo in Delano will be a commerce center in this rapid growing area. 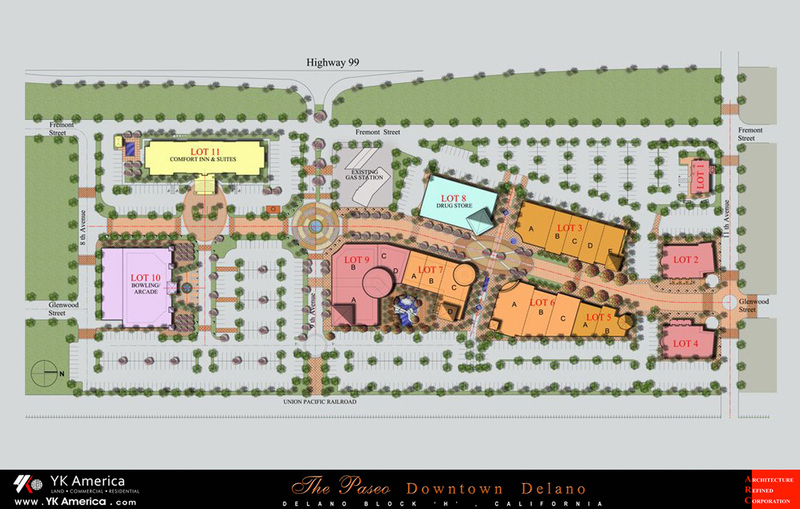 Covering three city blocks, The Paseo in Delano is strategically place to create a vital link between Hwy 99 and downtown Delano with a mixed-use lifestyle center of retail, food and entertainment. 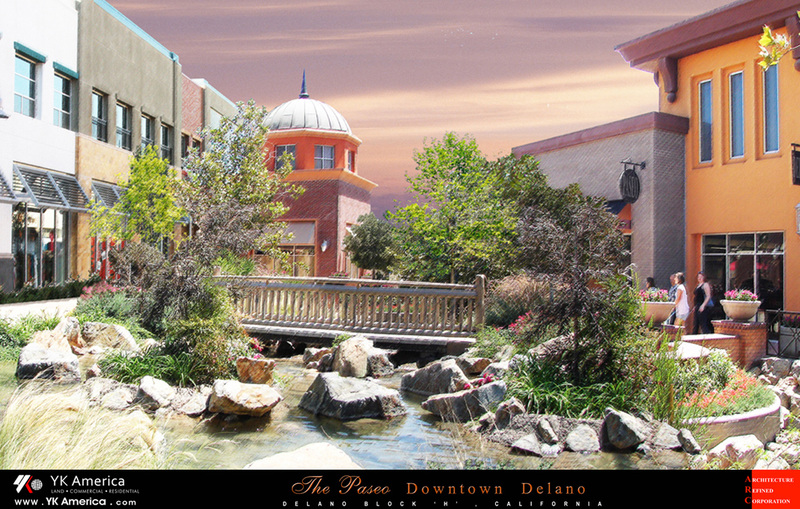 The Paseo in Delano is designed as a lifestyle center, with friendly walking environment along the length of the diagonal main street and ample parking behind the stores.